Gabbodles in Auto fabric by Makower. 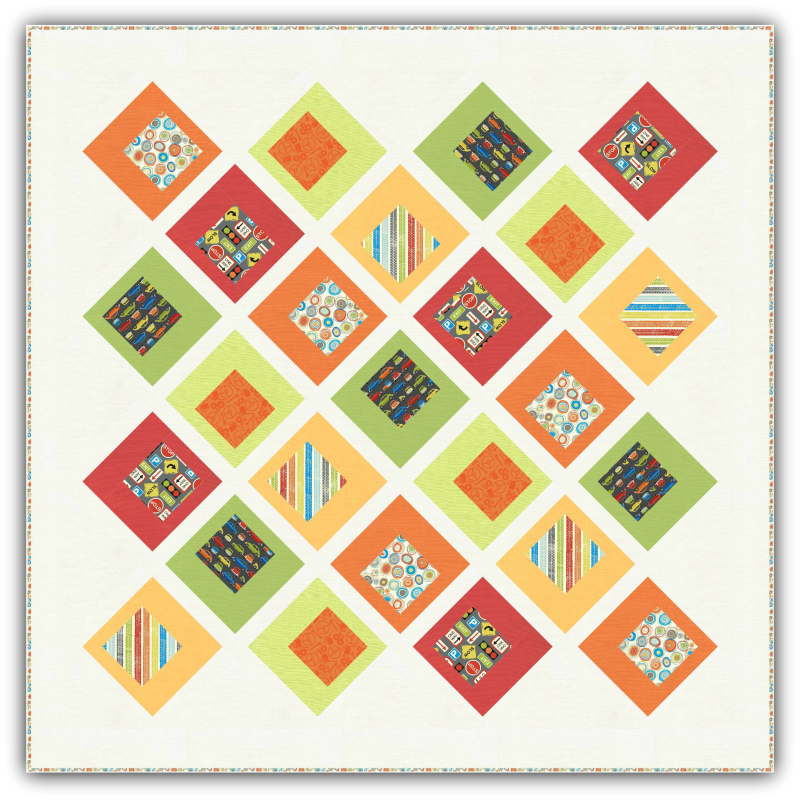 I just love this quilt, it can be made using a charm pack for the center of each block! Quilt measures: 52" x 52".